Jeff Murphrey is co-owner of Canine Country Club. He attended Triple Crown Dog Trainer Academy, the world’s largest and most comprehensive training, behavior, and event center for dogs. He has since trained dogs professionally, working with all breeds. Jeff’s love of animals was apparent as a child when he relentlessly rescued any animal, giving them a safe home and lots of love. Jeff grew up training animals, both horses and dogs. As a child, he developed a special skill for raising well-mannered animals. His talent and passion for animal training led him to his destination today. After 20 years of practicing law in Houston, Jeff decided to do what he truly loves: care for dogs. He and his wife, Adrienne, have spent the last 2 years planning and preparing for Canine Country Club. He lives in Houston with his wife, three dogs, two guinea pigs and two frogs. 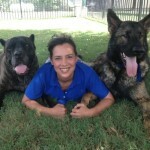 Adrienne Murphrey is co-owner of Canine Country Club and the brains behind the business. As the sole owner of her own law firm for 10 years, Adrienne has a strong track record of establishing a successful enterprise. She knows how to evolve a business so that it is consistently meeting the needs of its clients. More importantly, she has a deep appreciation for client satisfaction and values having strong relationships with each of them. Setting business aside, Adrienne, too, has an unyielding affection for dogs. Adrienne has been the loving mother of many dogs, from the loyal Rottweiler to the playful and eager Pomeranian. Like Jeff, Adrienne decided to turn in her cases to care for dogs full time; and so she began developing Canine Country Club. She lives in Houston with her husband, three dogs, two guinea pigs and two frogs. An Austin native, Steve has lived in over a dozen cities across Texas. Before joining the Canine Country Club family he enjoyed working in several career fields, including time spent as a federal park ranger and in marketing. After attending Hardin-Simmons University and Texas State University, Steve spent several years traveling the U.S. as a marketing representative for an automobile manufacturer. In 2006, Steve moved to the Houston area to attend mortuary school. 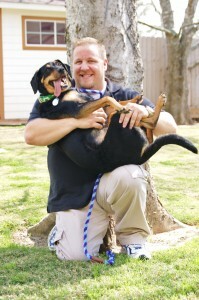 Upon graduation from mortuary school, he and his wife, Megan, moved to Katy with their sweet Rottweiler mix, Penny. When not giving big bear-hugs to his furry friends at Canine Country Club, Steve enjoys spending his free time at Houston Rockets games and playing with his sons, Cameron and Finley. Kelsie Dartayet was born in Houston and grew up in Katy. She loves all sorts of animals and enjoys visiting animal shelters as often as possible. As a young teenager, Kelsie had two guinea pigs, Chewy & Chester, whom she cared for, loved, and cherished for 6 years. She currently shares in caring for two Siberian Huskies, Dakota and Rush, with her husband, Travis. In 2017, she graduated from The University of Houston with a Bachelors of Science in Teaching and Learning and a Bilingual Education degree. In her free time, Kelsie enjoys running, camping, being outdoors, and most of all spending quality time with family and friends. 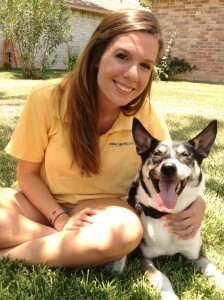 Jennifer Martinez is a native Houstonian and began work at the Canine Country Club in February 2012. She is a United States Air Force Veteran and continues to serve as a drilling Military Reservist. She is a student working toward completion of her degree and she enjoys spending time with her miniature rat terrier, Tiki, and her wonderful son, Brent. Her love for animals brought her to the Canine Country Club where she proudly fulfills the duties of Manager. She believes that no job is too tough to ensure the health and happiness of each and every furry guest. Jennifer strives to ensure that each and every canine brought to the Canine Country Club receives perfect accommodations and that they each feel like royalty!